"Committed and visionary leadership oversees the academic achievements and personal development of each pupil." A very warm welcome to Summer Fields. I trust that in exploring our website you will begin to get a sense of the quality of opportunity that we offer, as well as a sense of the ethos and atmosphere which make Summer Fields such a special place. We are a full-boarding and day school for boys aged 4-13, situated in a prime location in the heart of Oxford and within easy reach of London and several airports. We have 70 acres of beautiful grounds and the boys take full advantage of this exceptionally pleasant environment. At Summer Fields we nurture the boys academically, morally, spiritually and culturally to develop their confidence and sense of independence. In doing so, we help them to discover talents, interests and values that not only prepare them for the next stage of their education, but which stay with them for life. Summer Fields has an outstanding record of winning awards and scholarships to top public schools like Eton, Harrow, Radley, Stowe and Winchester, among others. This success is dependent upon dedicated teachers who inspire the boys to work with enthusiasm and enjoyment. We are fully committed to boarding life: there are a vast number of activities on offer and the school’s exceptional facilities provide an ideal setting for the boys to cultivate their talents. The extra-curricular life of the school is active both during free time and in more structured clubs. There is really no substitute for a visit, and we will be happy to welcome you at the school. Please do arrange an appointment by contacting Mrs Christine Berry, the School Registrar. We look forward to meeting you. 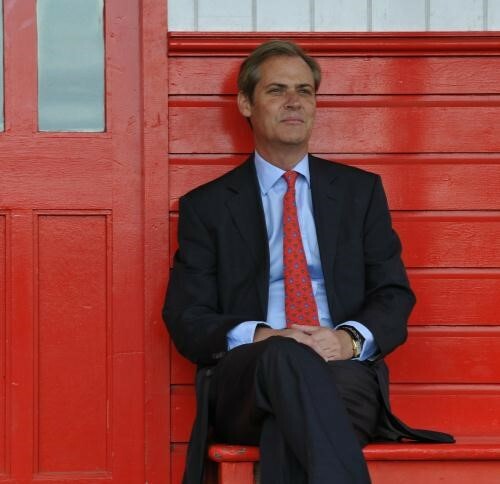 David Faber took up his appointment as the tenth Headmaster of Summer Fields in September 2010. He is an old boy of the school, a former parent and had previously also served as a Governor for nine years. He teaches History, with particular expertise on the Second World War and the history of appeasement. After attending Summer Fields, along with many other members of his family, He was educated at Eton and Balliol College, Oxford, where he read Modern Languages, played 2nd XI cricket and won a half-blue for rackets. After university he worked for the Conservative Party in a number of roles, before contesting the Stockton North constituency unsuccessfully at the 1987 General Election. He was elected to Parliament in 1992 for the Westbury seat in West Wiltshire, which he held for nine years. During the 1992-1997 Parliament he served as Parliamentary Private Secretary to the Minister for Overseas Development and then to the Secretary of State for Health. He also sat on the Social Security Select Committee and was Secretary of the Conservative Education Committee. Between 1997 and 2001 he was for a time Shadow Minister for Foreign Affairs, as well as a member of the Culture, Media and Sport Select Committee and the Public Accounts Committee. David Faber stood down from Parliament at the 2001 election to pursue a career as a writer. His first book, Speaking for England, published by Simon & Schuster, is a tryptich biography of the Amery family – Leo Amery, a prominent imperialist politician between the wars and his two sons, John, who was hanged for treason at the end of the war and Julian (OS) who enjoyed a long career as a politician himself. In 2008 he published Munich, The 1938 Appeasement Crisis; it has also been published in the United States, again by Simon & Schuster, and translated into Czech. He continues to be an occasional lecturer and contributor to both broadcast and written media, in particular on the subject of Appeasement. He is currently serving his fifth three-year term as a member of the main MCC Committee and is also Chairman of the club’s Arts and Library Committee. For many years he was a Trustee of two prominent addiction charities, the Rehabilitation of Addicted Prisoners Trust and Clouds, which, during his time as Chairman of Trustees, merged to become Action on Addiction. Cricket remains one of his principal hobbies, as is golf (he is a member of the Royal & Ancient) and Chelsea Football Club. He is married to Sophie and has two daughters and an Old Summerfieldian son. 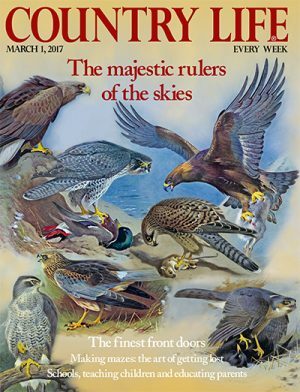 Follow the link below to read a recent interview with David Faber that appeared in 'Country Life' magazine.